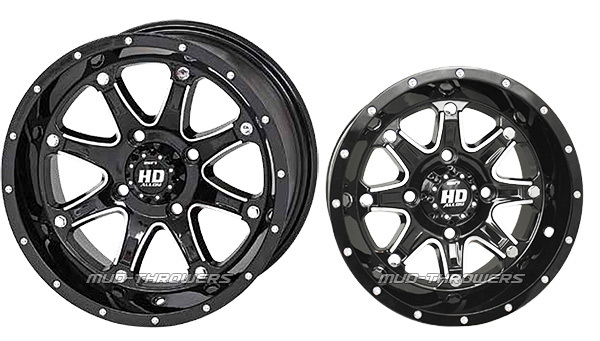 STI has created a stunning new style with its newest HD Alloy wheel, introducing the STI HD4 Gloss Black wheels. This wheel is available in a striking gloss black finish with bright machined accents, topped with a tough Hi-Gloss clear coat seal. It is also equipped with chrome bolts, chrome rivets and a matching low profile center cap. Available for most popular ATV and UTV applications with a 12", 14", 15" and even a 17" diameter version.